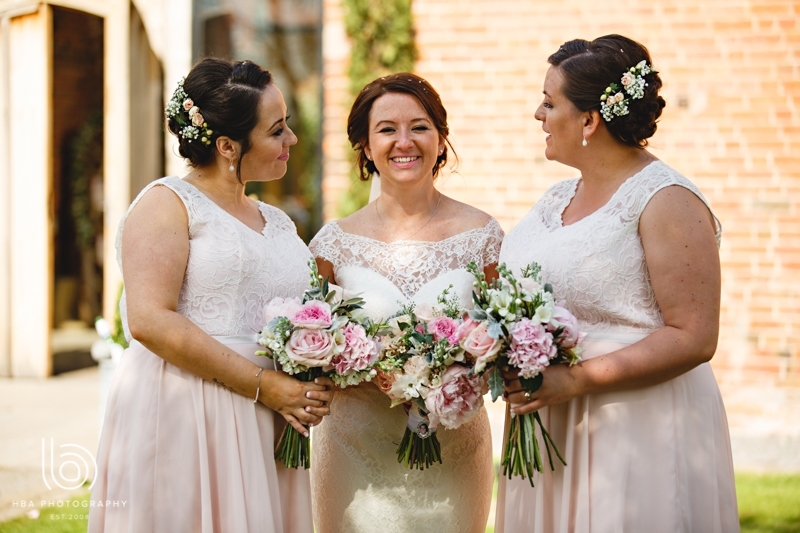 This years Pantone colour is "Living Coral" - the renowned colour matching system describes the colour as "boyant, vibrant and effervesent" and it is predicted that "Living Coral" will dominate the design industry for the next year. 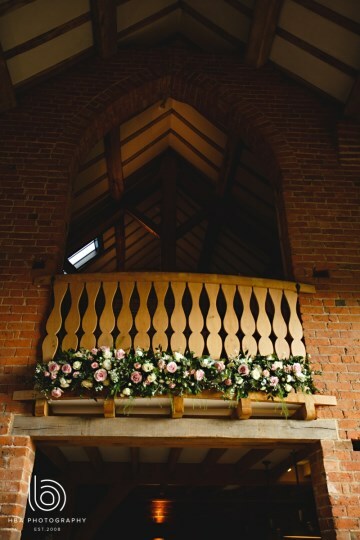 Popular with weddings, this vibrant yes mellow shade looks fabulous with ivory and lime blooms, and also comes to life even more with an injection of hot pink . 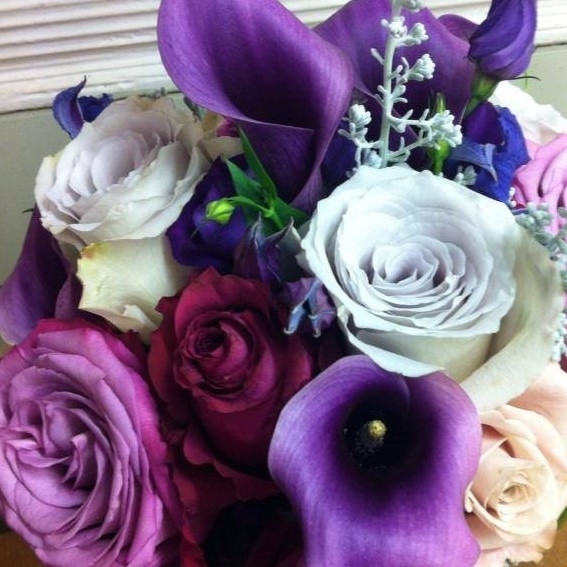 Visit our pinterest boards of coral and peach flowers, and bouquets for inspiration. 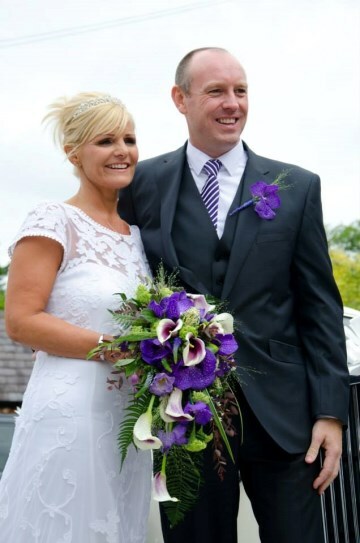 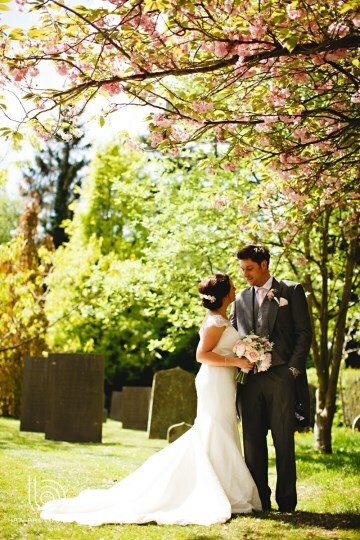 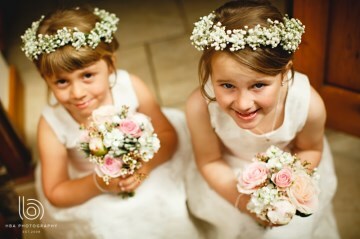 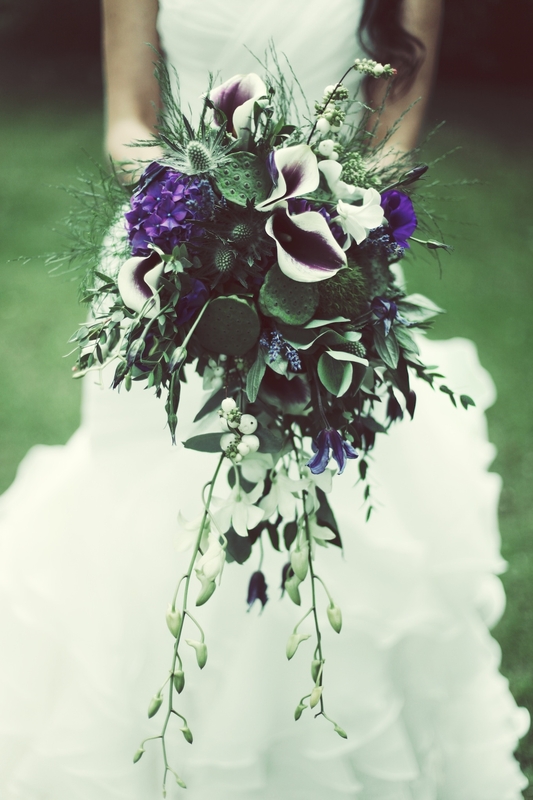 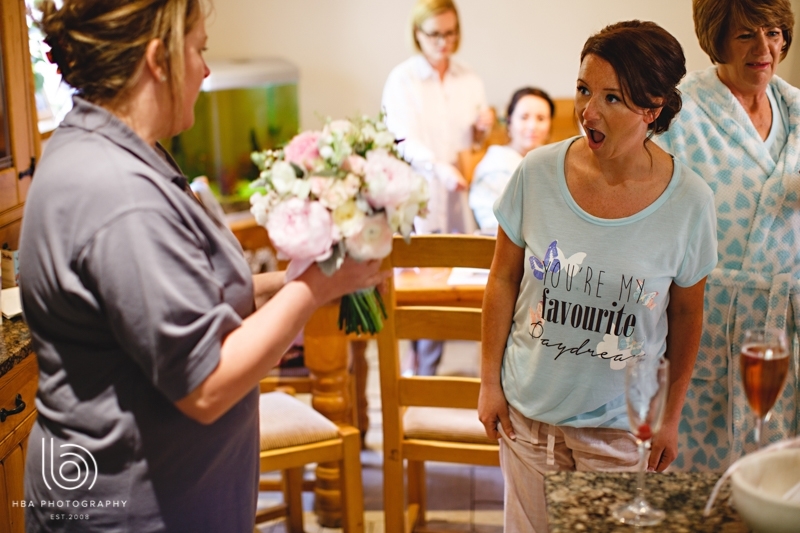 If you are getting married this year then why not book your free wedding consultation with penny Johnson Flowers today. We are pleased to announce the re-opening our Flower School for 2019. 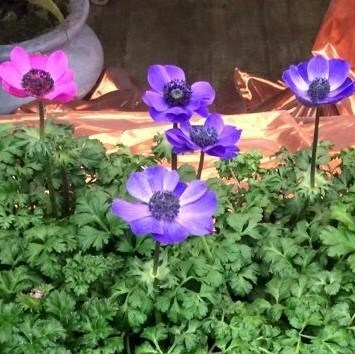 Penny set up the flower school back in 2003 offering full days tuition. 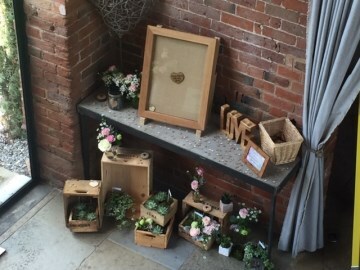 This was soon followed by the fabulous "love flowers" flower club who met up monthly to create lovely displays, even providing arrangements for the VIP area at Shustoke and Whitacre show one year, which was amazing for our students. 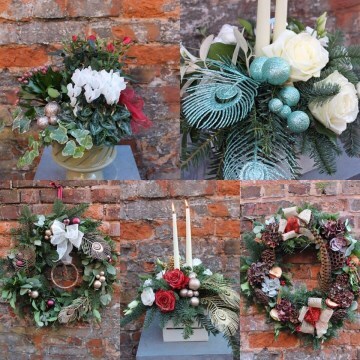 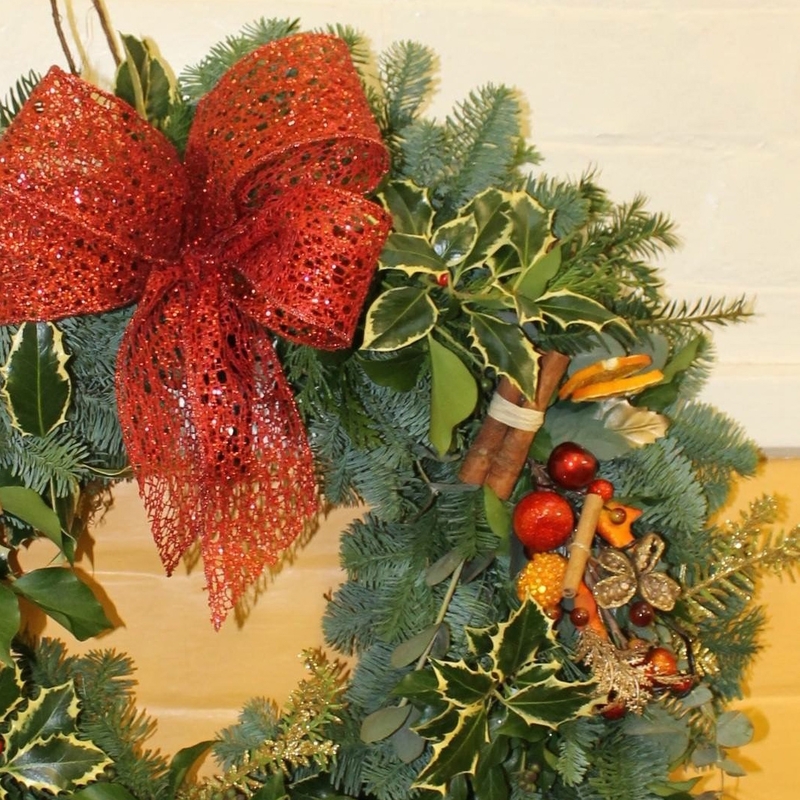 With weddings and event work taking over, the school went on the back burner for a while, although Christmas and spring work shops have continued, along with floral demonstrations. We are so pleased that now we have an extended team on board we will once again be offering monthly classes. Buying and recieving flowers is super nice, but sometimes we just don't know how to arrange them. 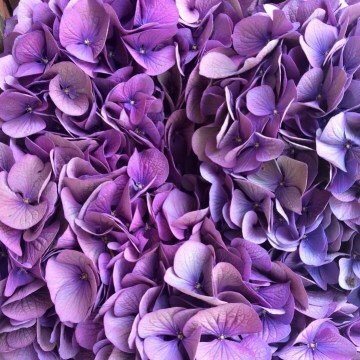 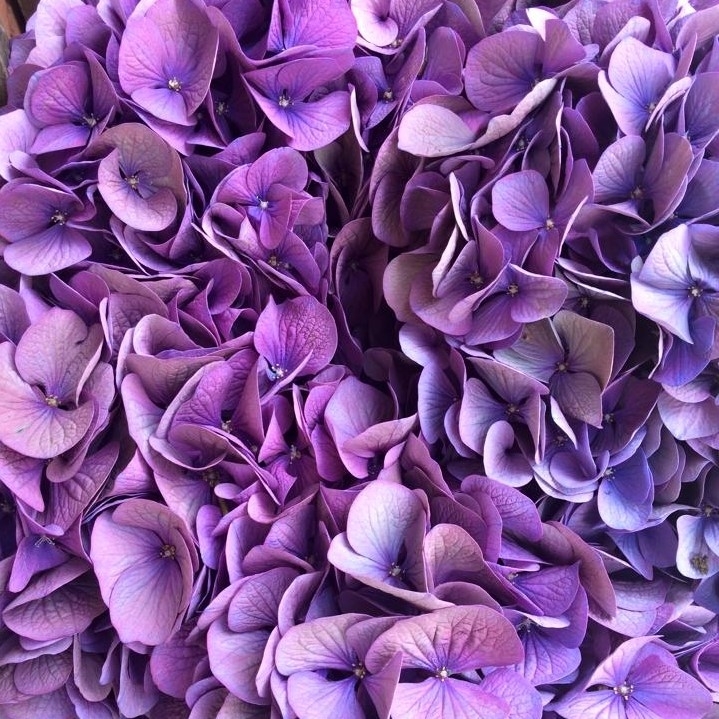 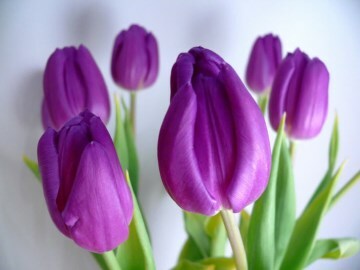 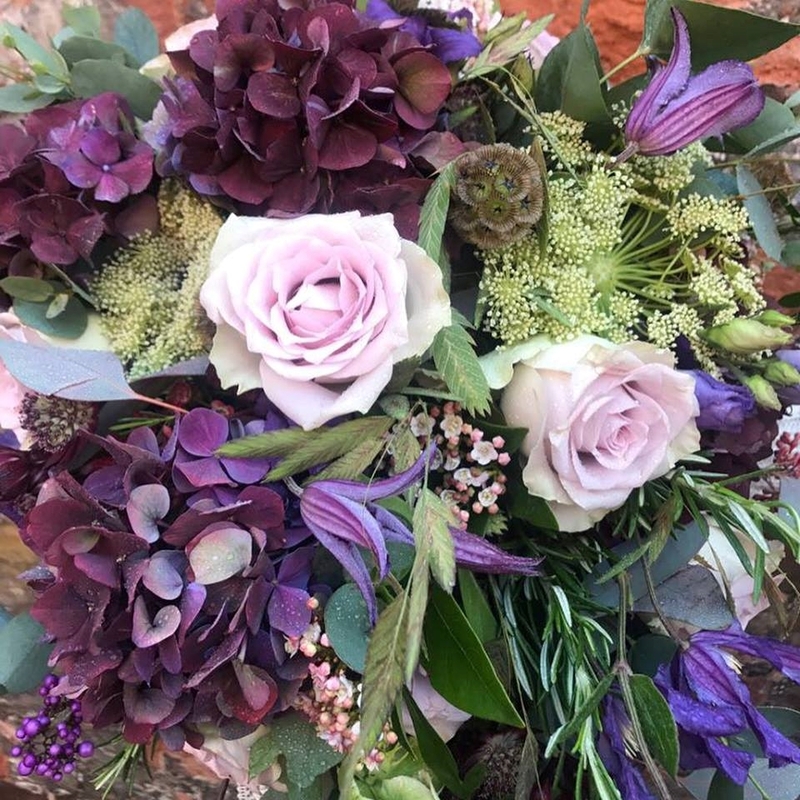 Here at Penny Johnson Flower School, we will be on hand to guide you with truly inspirational tuition, you will soon enjoy not only being creative and more confident with flowers but you will also produce fabulous designs that are all yours for the keeping. 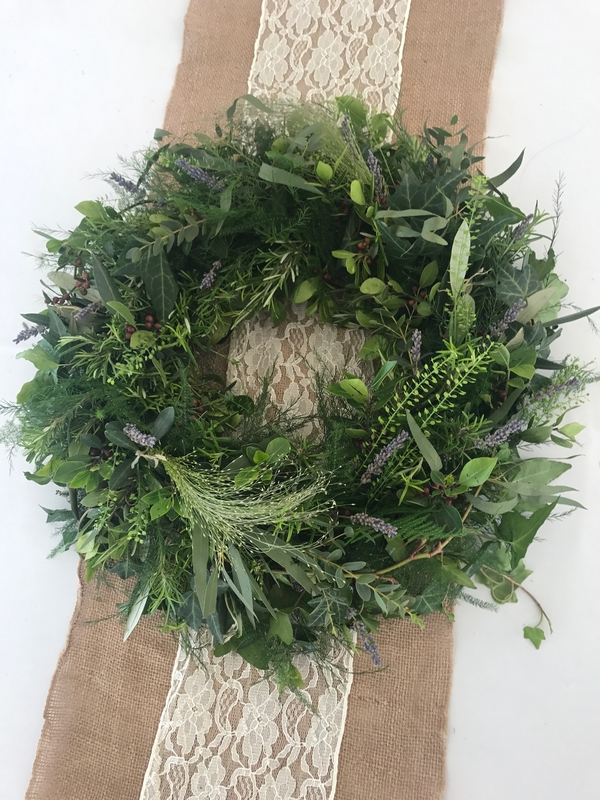 At our full day class you will recieve a full step by step demonstration and instruction for each of the three design that you will then go on to produce. 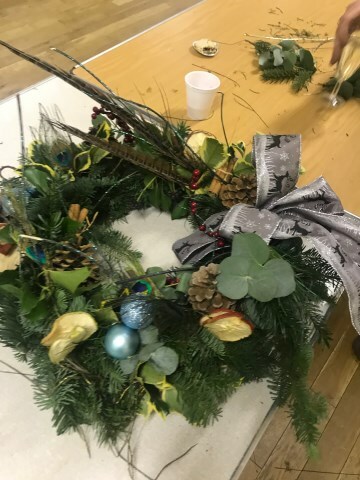 Tea, coffee and soft drinks are provided throughout the day and a light lunch is served around 1pm the class is due to finish around 3.30/4pm, we guarentee you will be blown away by what you have created. Our aim is to Inspire, Create and Enjoy - applying these ethosto everything we do, you are guarented to have a great time. Everything you need is included, we supply all theflowers and foliages, all your vases, containers and sundries - all you need to bring is is your wonderful, ready to be inspired, self ! 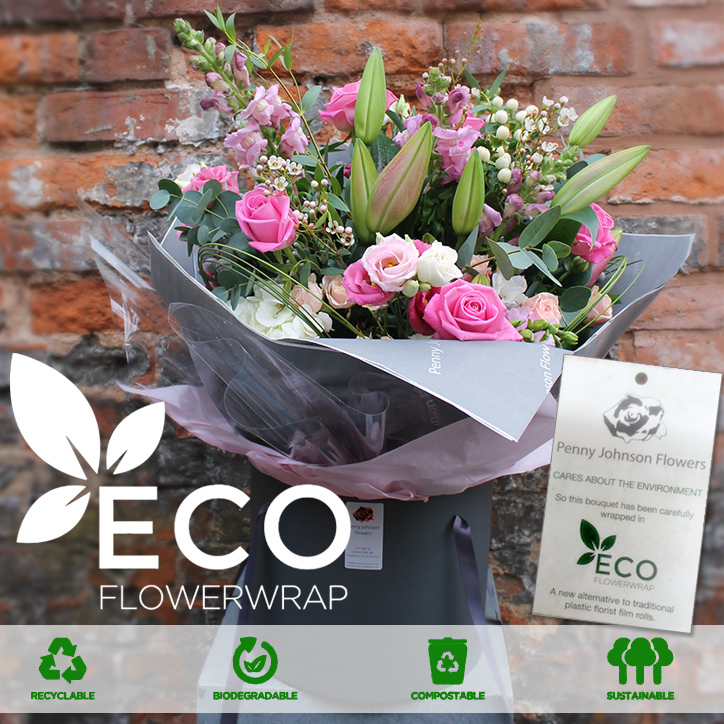 We have used kraft paper and raffia for general flower wrapping since we opened our store over 15 years ago, and for a while now we have also wrapped most of our “ready to go“ hand tied bouquets the same - now we have our new branded echo wrap we will continue minimise our impact on our very precious environment. 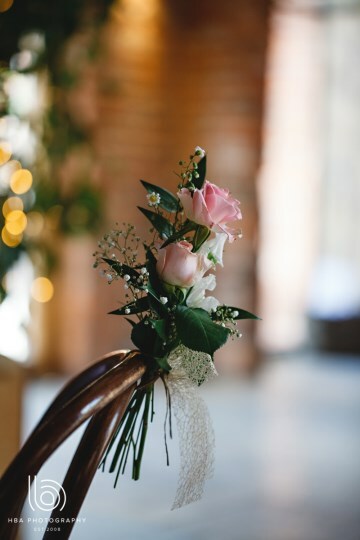 While we do still need to use a small amount of cellophane for the water bubble at the bottom of our hand tied bouquets, the majority of the packaging will now be fully biodegradable! We also stock biodegradable floral foam in store. Join us at Coleshill Town Hall for a fabulous event packed full of festive creativity. 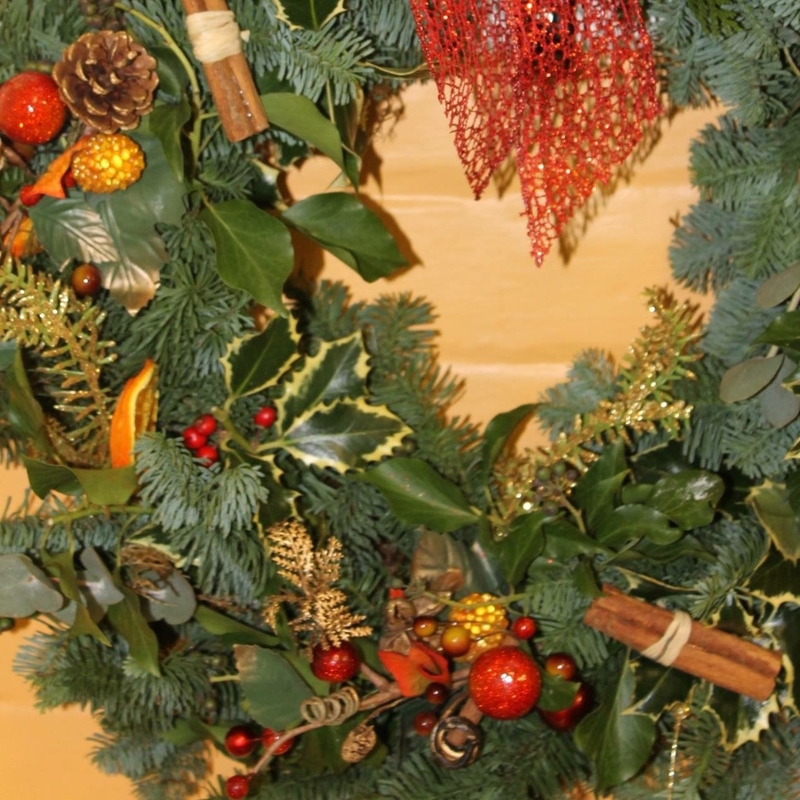 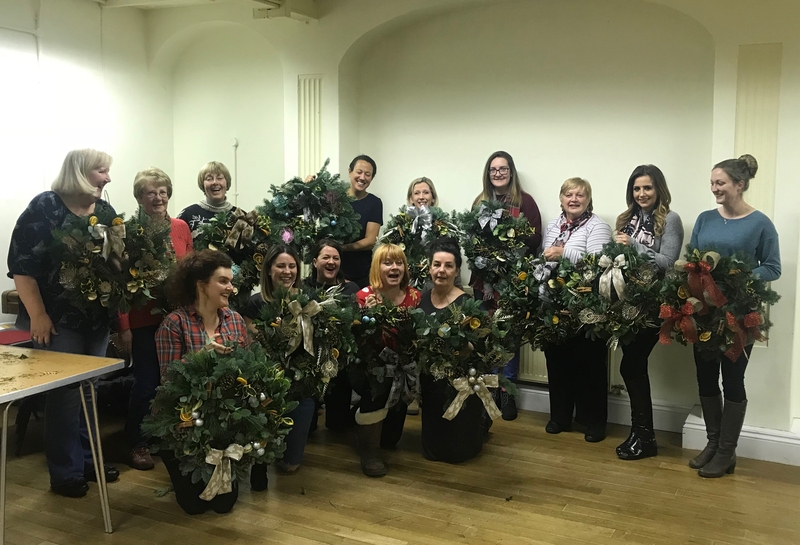 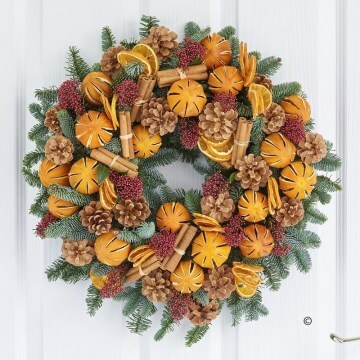 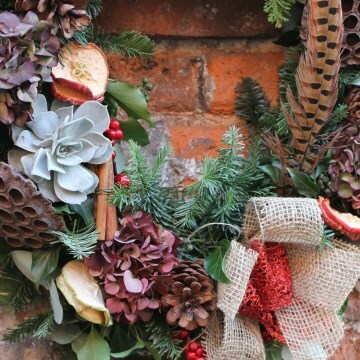 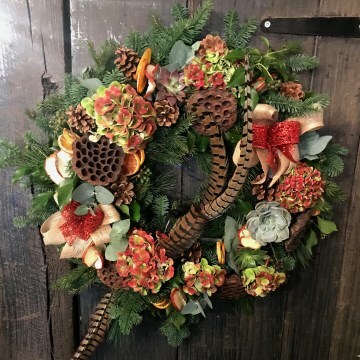 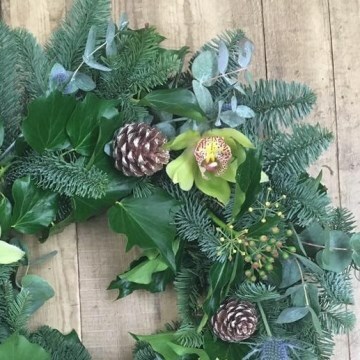 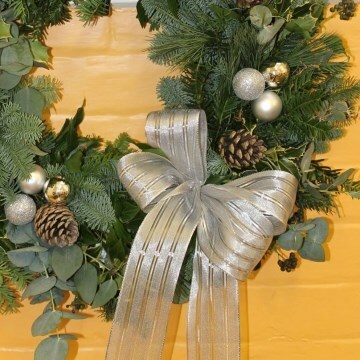 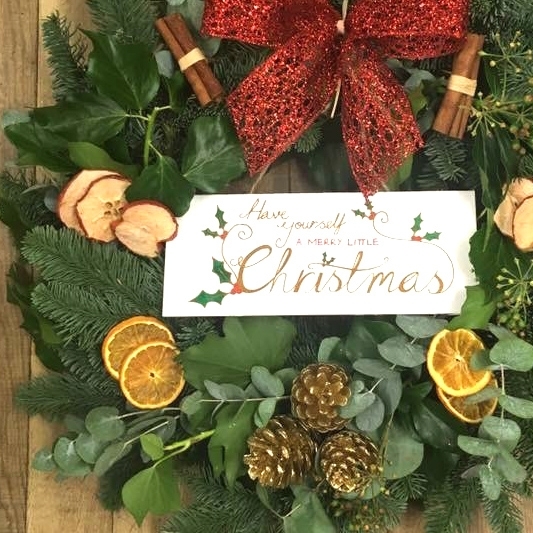 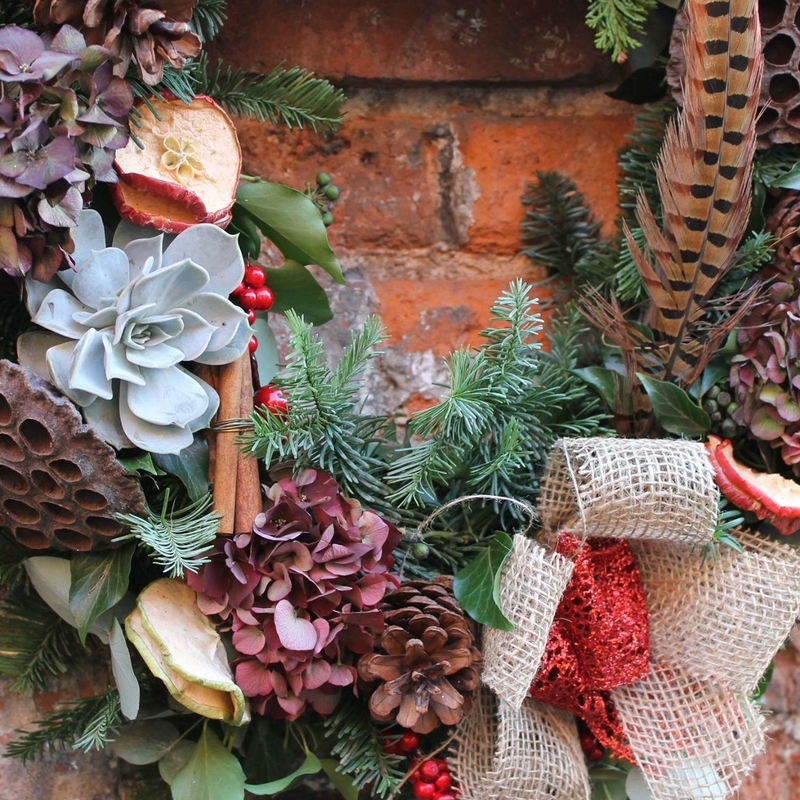 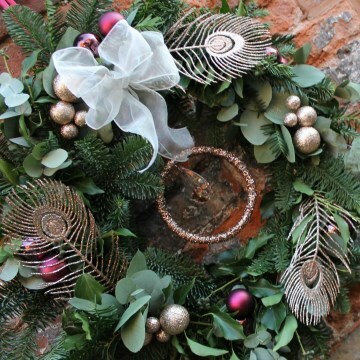 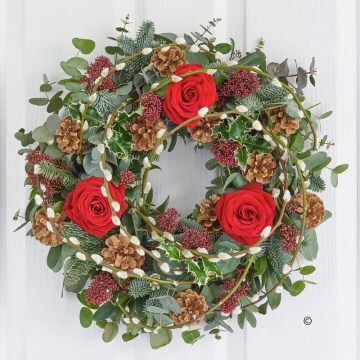 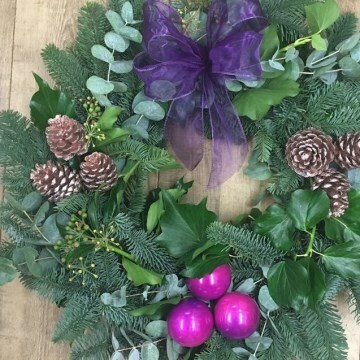 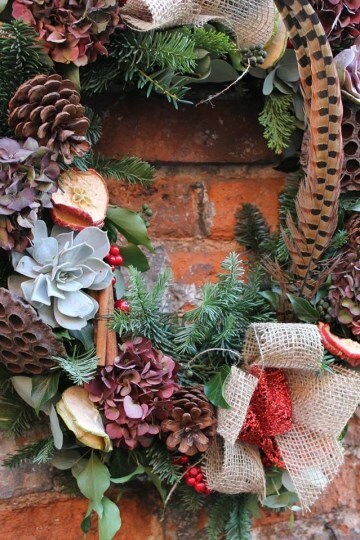 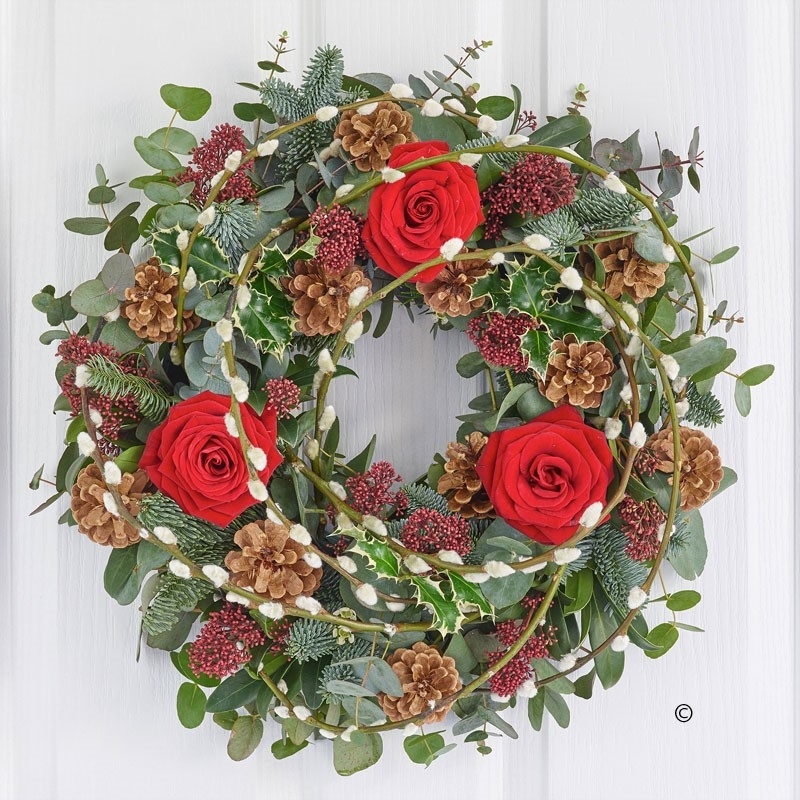 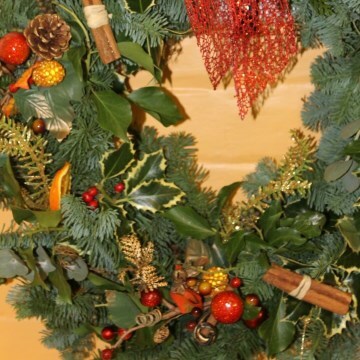 Enjoy learning new skills, in our relaxed and friendly workshops where you will be shown step by step how to create a fabulous door wreath, being inspired to add your own personal touch to your design. 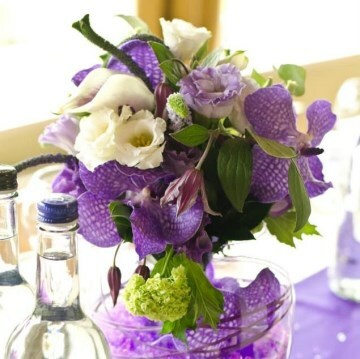 Learn how to create beautiful displays for the home. These events were very popular last year so don't miss out and reserve your place today. 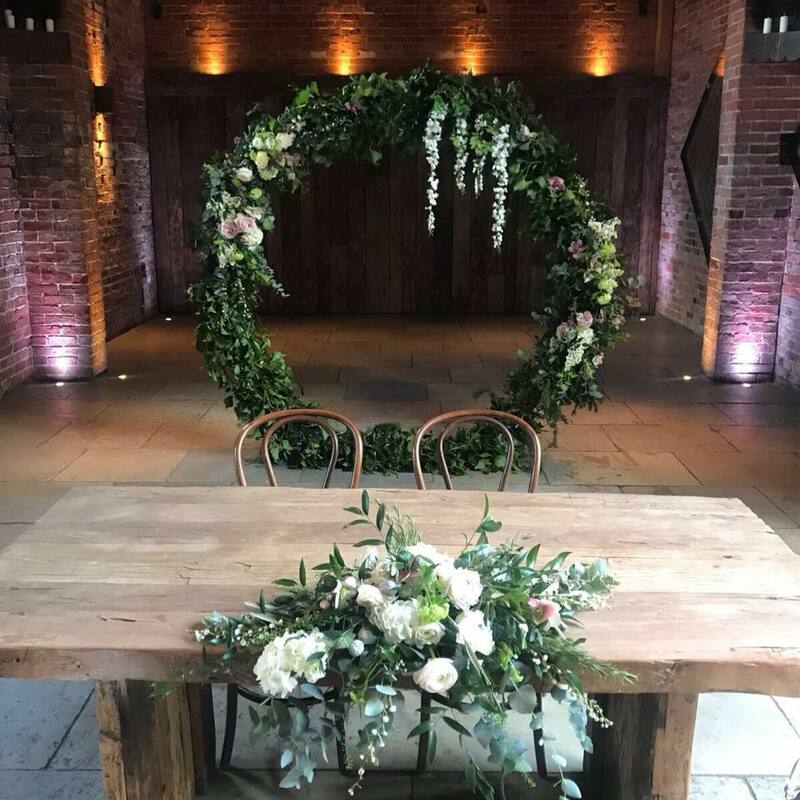 The set was completed with the addition of our super gorgeous #moongatearch at 2.4m diametre , it looked stunning as it framed the ceremony table - decorated with mixed foliages, fresh blush and ivory flowers and cascading blooms, a truly stunning feature. 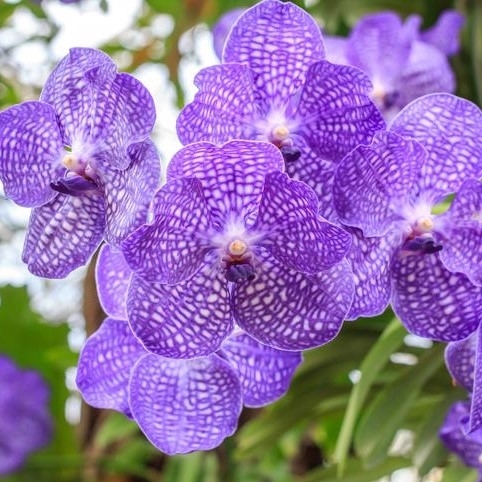 After the cool calming choice of “greenery” in 2017, Pantone have selected “ultra violet” as the colour for this year. 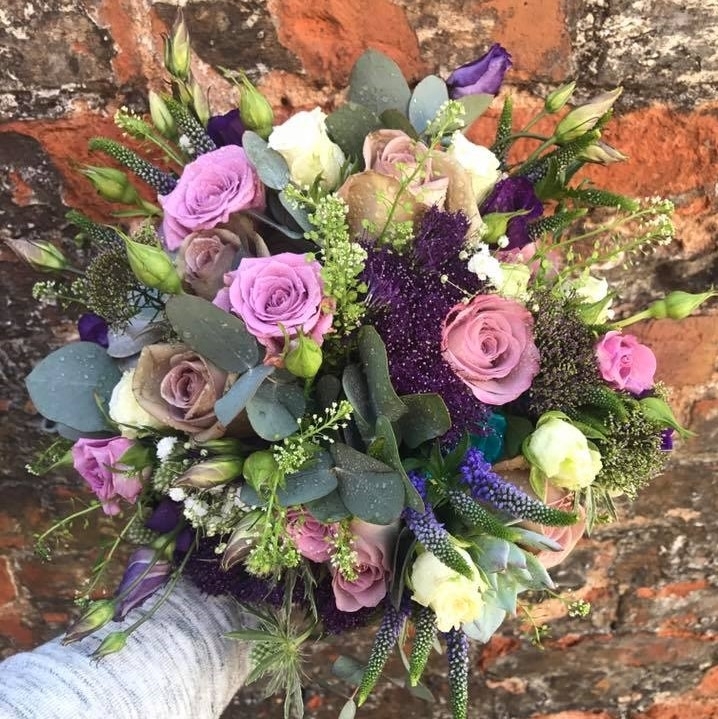 Here at Penny Johnson Flowers we like to stay current - our stunning 'Coleen Bouquet' is a lovely combination of on-trend pink and purple hues. 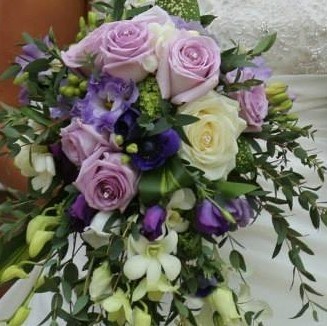 Of course, our large range of bouquets means no matter what colour you like, we'll have something for you! 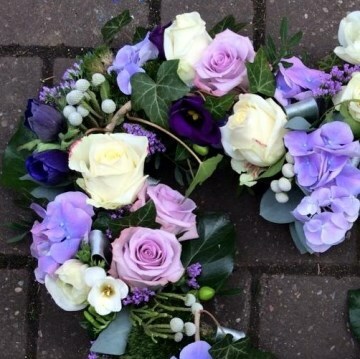 Order flowers and bouquets online or come and see us in our Flower shop in Coleshill High Street. 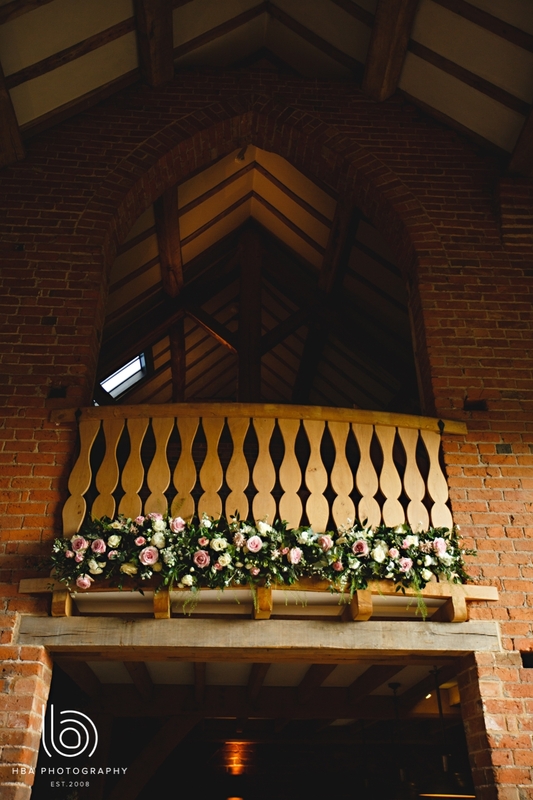 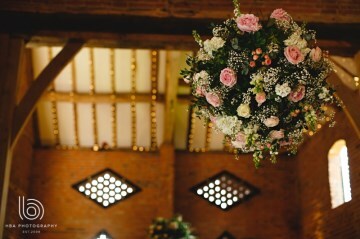 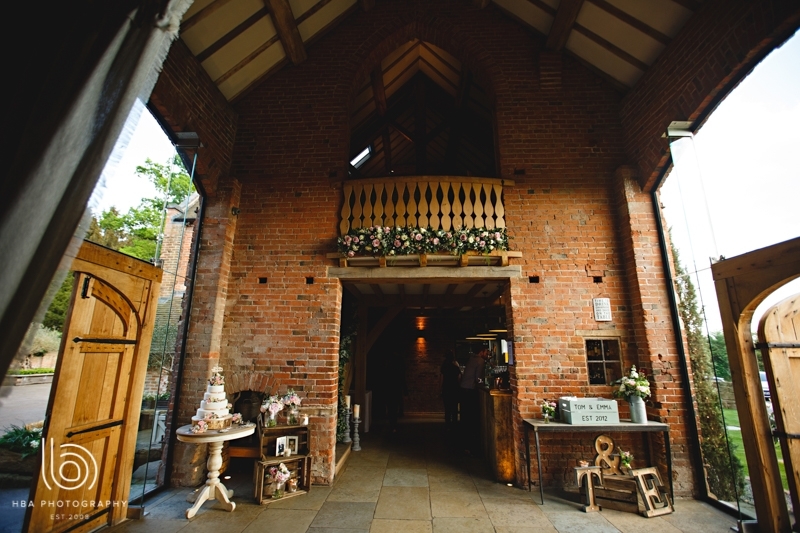 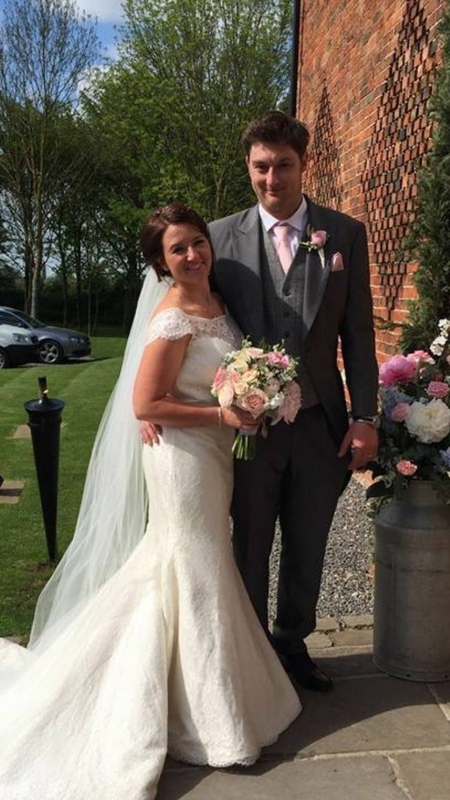 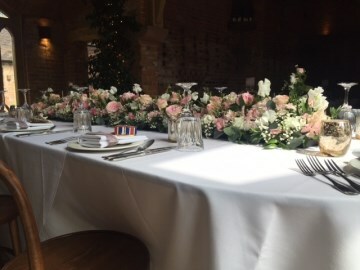 Last May we had the absolute pleasure of providing fabulous floral designs for Emma and Tom (aka - mr and mrs woodward) After their wedding ceremony at Sheepy Magna church, they headed out to celebrate with friends and family at the stunning Shustoke Farm Barns. 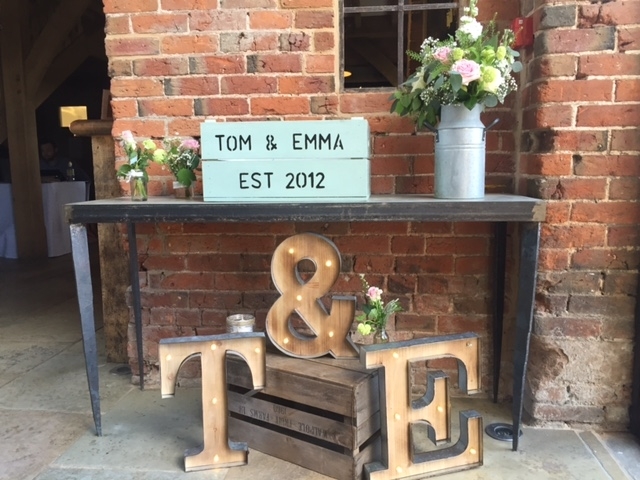 Emma, who works at the barns (so no pressure there :-) ) had very clear ideas of what they wanted, and was great to work with. Fabulous florals such as Peonies, scented Garden Rose blooms, mixed foliages, Senecio, Eucalyptus, Hydrangea blooms, fresh cut herbs, stocks, Astilbe and succulents. 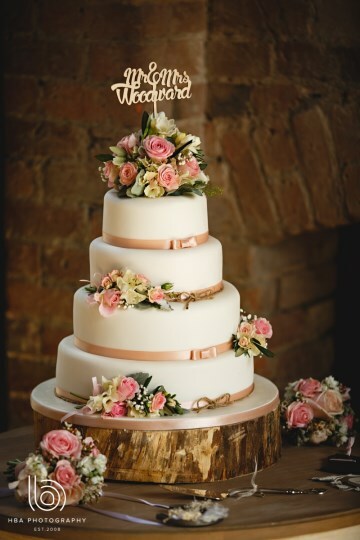 The recipe was already good enough to eat . 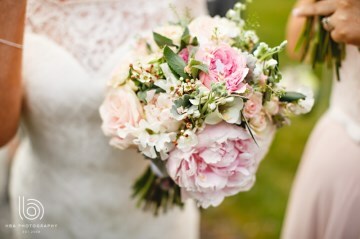 Bridal bouquet, bursting with beautiful pink and ivory blooms, mini spray rose blooms were used for Emma’s hair, the adult bridesmaids had similar designs that complimented the brides bouquet, and the supper cute flower girls rocked their pretty floral crowns of Gypsophila, and mini bouquets. 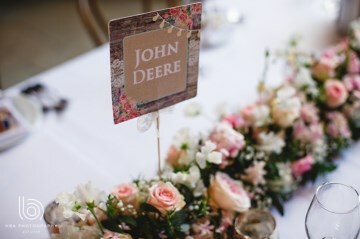 The reception venue, which is always a pleasure to dress, was a sea of gorgeousness large floral hanging displays hung from the existing pulleys, the top table was dressed with a full pink and ivory floral table runner, and each of the ladies chairs were decorated with lovely little tied displays to match the overall theme. 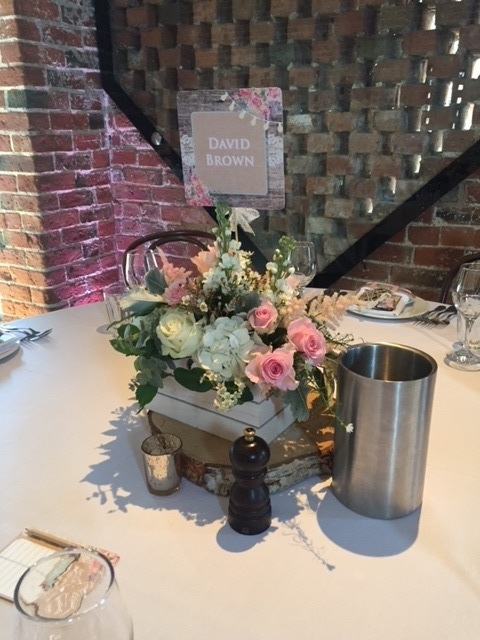 Table centerpieces in rustic white washed crates, coordinating balcony floral and mini displays of fresh blooms added to the cake. Thank you so much Hannah from hba photography for the images, they are all beautiful. 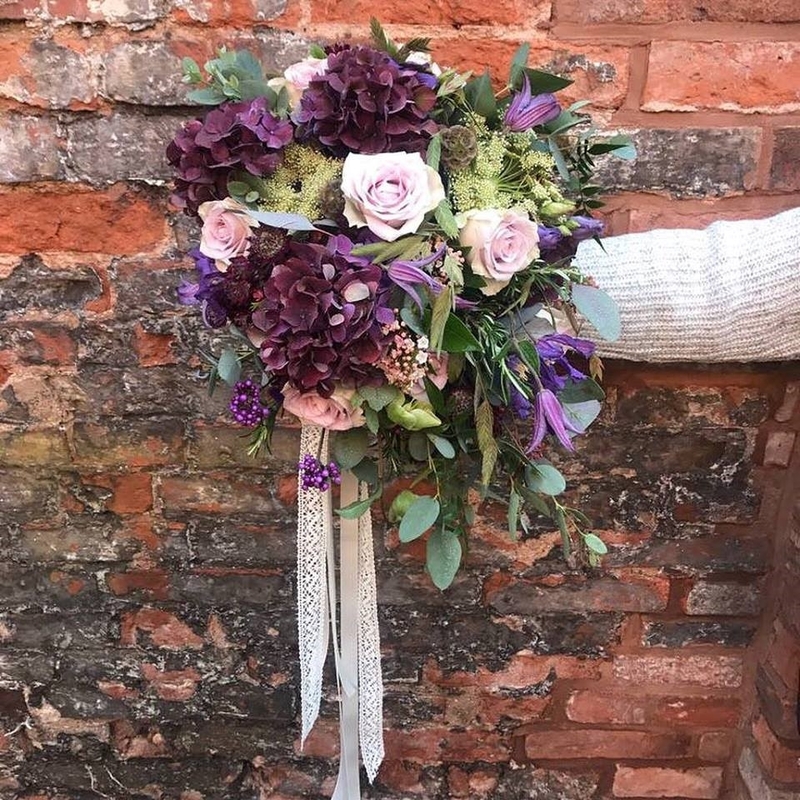 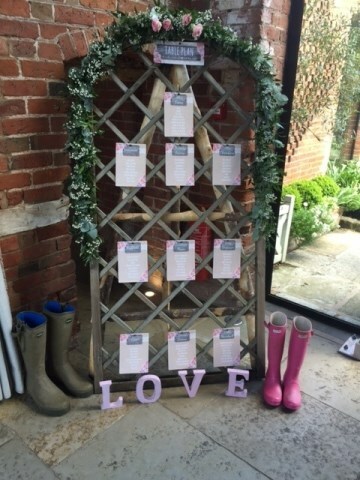 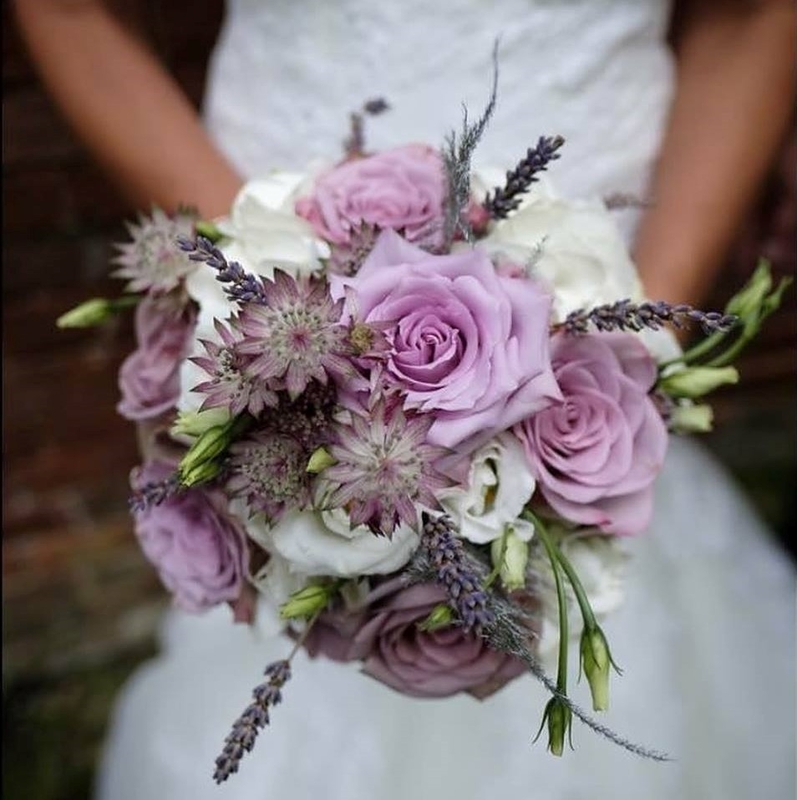 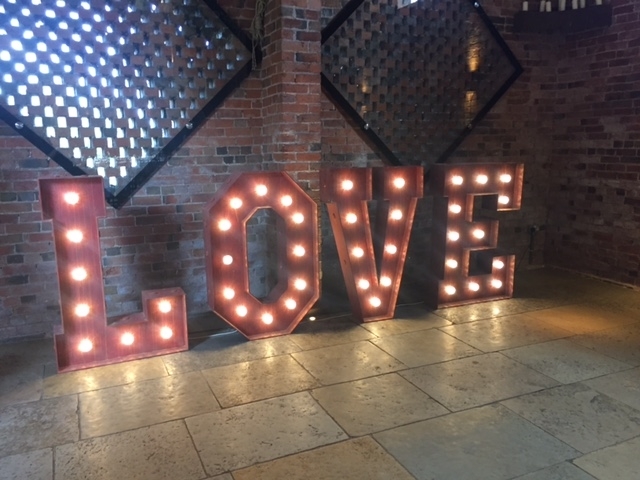 Here at Penny Johnson we love our wedding work, if you are getting married and looking for a Floriist / venue stylist for your special day then look no further.